As predicted by Skymet Weather, heavy snowfall has occurred over the states of Jammu and Kashmir, Himachal Pradesh and Uttarakhand during the last 24 hours. All the three hilly states were painted in white with roadways getting majorly affected. In fact, in wake of heavy snowfall and avalanche possibility, the movement of vehicles on Kargil-Drass NHW and Kargil-Leh NHW and other major roads was strictly prohibited by the Disaster Management Authority of Kargil in Ladakh. Now, as the Western Disturbance has moved away eastwards, rain and snow will get reduced significantly over Jammu and Kashmir. However, upper reaches of Himachal Pradesh and Uttarakhand will continue to get rain and snow until today afternoon. Thereafter, weather will clear up and remain dry until February 24. 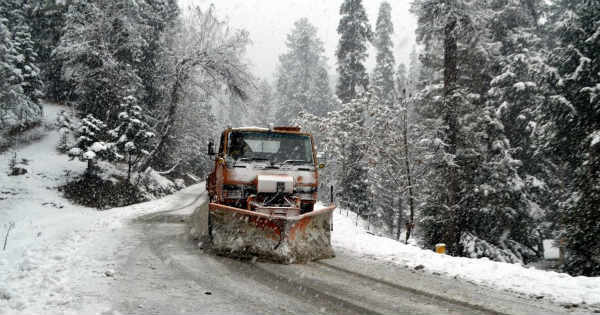 According to Skymet Weather, another Western Disturbance is expected to reach Jammu and Kashmir by February 25. In wake of this system, scattered rains and snow will commence over Jammu and Kashmir February 25 onward. Gradually, Himachal Pradesh and Uttarakhand will also start receiving light to moderate rain and snowfall. These activities will tighten grip over all the three hilly states on February 26 and we expect isolated heavy spell to occur over the region. There are also bright chances of avalanches. Moreover, roadway operations during that time will be majorly affected. The states of Jammu and Kashmir, Himachal Pradesh and Uttarakhand are experiencing peak rain and snowfall activities. Now, with the Western Disturbance over Jammu and Kashmir moving eastwards, we expect moderate to heavy rain and snow over Himachal Pradesh and Uttarakhand while scattered activities over Jammu and Kashmir during next 24 hours. By February 22, these weather activities will decrease over all the three hilly states. However, the weather will not become completely dry as the remnants of this system along with an increase in moisture content will induce rain and thundershower activities at isolated places. Talking about temperatures, maximums over these states will rise by 2℃ to 4℃ as a result of a significant decrease in rains and cloud cover. As had been reiterated by Skymet Weather, the hills of North India have once again started witnessing rain and snow since the last 24 hours. This is the fourth episode of this month, in fact, a significant one. The intensity of the weather activities would increase in the coming 48 hours and is likely to peak in the next 24 hours. All the tourist locations including Gulmarg, Pahalgam, Srinagar, Dalhousie, Shimla, Kufri, Manali, Nainital and Mussoorie have started experiencing rain and snow since the evening of February 19. All the cities are gearing up for inclement weather conditions today. As per Skymet Weather experts, next 24 hours would be very crucial, with heavy to very heavy rains would be witnessed at a few places and heavy in many areas. 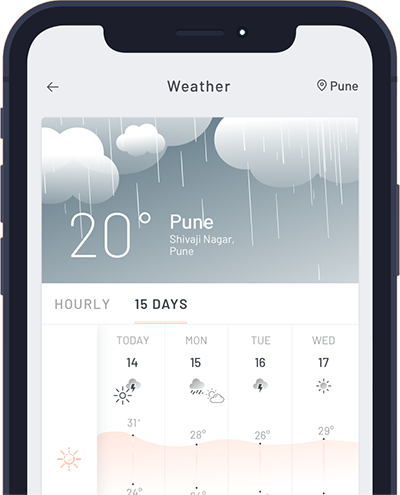 These activities would be accompanied with intense weather activities associated with the spell such as thunderstorm, lightning strikes, hailstorm etc. It is also obvious that these spells would once again cause disruption in linkages, connectivity, landslides and avalanches. Despite of the clearance of snow by administration over the roads, the slopes and the sides of the roads are still heaped up with snow. This accumulated snow keeps piling up which further leads to higher risk of landslides and avalanches. February 21 would also see moderate weather activities at many areas but heavy in a few parts. February 22 onward, the activity is expected to recede. There is a possibility that by the month end, another spell around February 27 would be seen. There will be a breather for four days prior to this spell. Talking about statistics, these rain and snow activities have taken the figures of rainfall further and as of now are in excess for the season which initiated from January 1. These spells have added incremental addition to surplus which was carried forward from January. Thus, taking it further, both Jammu and Kashmir and Uttarakhand are largely excess by 74% and 83%, respectively with rain in Himachal Pradesh excess by 44%.